Define Medical Malpractice What Is Medical Malpractice? Know Your Rights Your Rights After Medical Malpractice What Sorts Of Medical Care Requires Informed Consent? Do You Have A Case? Do You Have A Case? If The Medical Malpractice Resulted In Death, Who Can Sue? How Many Medical Malpractice Deaths Are There Per Year? How Can You Prove Medical Malpractice? How Much Does It Cost To Hire A Lawyer For Malpractice Case? How Much Money Can Be Recovered In A Medical Malpractice Case? Why Did The Lawyer I Called Send My Medical Malpractice Case To Someone Else? Doctors are highly trained specialists, but they are also human. There are times that doctors and hospitals fail to meet the standard of good medical care. That is why we need committed medical malpractice attorneys, who are passionate about helping victims injured through medical negligence. If you were injured, or a loved one suffered a fatal injury, due to medical malpractice, then you may be entitled to compensation for your loss. That compensation could include medical expenses, lost wages, and pain and suffering damages. whether that failure was the cause of your injury. That inquiry can often be complex. It demands an understanding of important medical and scientific information. Accordingly, if you believe that you suffered an unexpected medical result, your first step should be to contact an experienced medical malpractice attorney who can comprehensively investigate your case, and consult with experts in the medical field. We invite you to speak with one of our expert medical malpractice attorneys to learn more about whether you have a case. We pride ourselves on providing both excellent representation in the courtroom, and excellent service to each and every one of our clients. Our motto is that “we take your claims personally.” Your fight for justice is our fight for justice. We do not stop fighting for you until we know you are getting the best outcome in your case. $6.6 Million in Baltimore City for a child who was the victim of a pediatrician’s negligence. Mr. D’Amore has consistently been named a Maryland Super Lawyer, a Top 100 Trial Lawyer and a Top 100 High Stakes Litigator. While we appreciate these awards, what matters most to us is how our clients feel about working with D’Amore. We have been fortunate to have our clients give us amazing feedback. Click here to see video and testimonials describing the positive changes we have brought about for our injured clients. These reviews are the result of our “family first” philosophy, When we take you on as a client, you are not alone anymore, you are family. Medical malpractice is a highly specialized legal field. If you feel that you have been a victim of medical negligence, or a loved one died due to a medical mistake, you need to contact an experienced medical malpractice lawyer right away. The medical malpractice attorneys at D’Amore Personal Injury Law have the background, trial skills, resources, and compassion to help you through your medical malpractice lawsuit. We are here to help you receive the compensation you deserve for your loss. Message us for a free consultation or call today at 410-324-2000. In Maryland and most other states, the legal definition of medical malpractice is basically the same. When a healthcare provider fails to use the same skill and care that a reasonably competent health care provider, engaged in a similar practice, would have used in the same or similar circumstances, and if that failure caused actual harm to the patient, the patient has a claim for medical malpractice. This is the actual legal standard that judges and jurors deciding medical malpractice cases are required to use. If you think the standard seems a bit vague and ambiguous, you are not the only one. First, what is a “reasonably competent health care provider?” Second, how does one define “the same skill and care” that should have been used? Finally, when are the circumstances the “same or similar”? Instead, the law in most places requires anyone who thinks they have a medical malpractice case to hire an expert witness who can provide an opinion that the treatment in question was below the “standard of care.” The expert witness is also required to define the standard of care in the given situation. If you, or someone you love, has suffered an unintended medical result, you may have a claim for medical malpractice. An “unintended medical result” is an outcome different from the one you and your family expected. Here is a slightly oversimplified example that may be helpful in understanding why there is no “list” of medical malpractice events. Mrs. Doe has abdominal pain. She goes to see a surgeon, Dr. Cutter, who tells Mrs. Doe he believes she has a cyst growing on her liver. This cyst is causing her pain. Dr. Cutter says he can remove the cyst and her pain will go away. Mrs. Doe agrees to have the operation. In the operating room, Dr. Cutter discovers the mass is not a cyst, but is actually the largest liver cancer he has ever encountered. Dr. Cutter has almost no experience operating on a tumor of this magnitude. Furthermore, the fact that the mass is cancer (instead of a cyst) means the risk of bleeding during the operation is much higher. Mrs. Doe is asleep on the operating table. She does not know her actual condition is very different from the one she was told she had when she agreed to have the surgery. Mrs. Doe does not know the operation necessary to remove the cancer is much more difficult, and carries a much higher risk of death, than the surgery she agreed to have. Mrs. Doe does not know that Dr. Cutter has very little, if any, experience at operating on a tumor like the one she has. Dr. Cutter could abort the operation, wake up Mrs. Doe and discuss the new findings with her. Or, Dr. Cutter could proceed with the operation, attempt to remove the tumor, and tell Mrs. Doe what happened when she in the recovery room. Dr. Cutter decides to continue with the operation. Mrs. Doe starts losing blood faster than Dr. Cutter and his team can replace it. Mrs. Doe dies on the operating table. Did Dr. Cutter commit malpractice? Wasn’t there a rule that should have governed Dr. Cutter’s decision to stop the operation or to proceed? Unfortunately, medicine isn’t simple, and every situation presents a different set of problems. If doctors tried to fit every patient into a set of rules, lives would be lost. Therefore, medicine doesn’t have these hard and fast rules. Instead, in order to determine what should have happened during Mrs. Doe’s operation, the law requires us to rely upon experts witnesses. Expert witnesses in medical malpractice cases are usually specialists who have been been practicing for a significant time. They are the doctors who have “seen and done it all”. In our example, we would likely seek out a surgeon who specializes in liver cancer. For purposes of our example, let’s call our expert surgeon Dr. Wellby. Dr. Wellby has been a practicing surgeon for over 25 years. She has written textbook chapters on the practice of liver surgery. She has taught surgery to medical students and surgical residents in hospitals. She has successfully operated on large liver tumors, like the one Mrs. Doe had, many times. We would ask Dr. Wellby to review the facts of Mrs. Doe’s case and analyze the situation based upon her training and experience. She would then decide if Dr. Cutter acted like a reasonable surgeon would have under the circumstances. Notice that Dr. Wellby would not analyze the case against what she would have done for Mrs. Doe. What Dr. Wellby would have done is not the legal standard. Dr. Wellby may be the best surgeon in the world, and it may be because she does things a bit differently than other surgeons. However, she is only allowed to compare Dr. Cutter’s actions to those that her profession expects of the average reasonable surgeon. Because everyone is entitled to his/her own opinion, different experts will have different opinions. Some surgeons, like Dr. Wellby, will opine the standard of care required Dr. Cutter to abort the operation, and discuss the new findings with Mrs. Doe once she was awake and stable. Expert surgeons hired by Dr. Cutter will most likely opine the standard of care allowed Dr. Cutter to proceed with the operation if, in his judgment, it was the correct thing to do. Both sides will usually have very good arguments for why their opinion is the right one. So, which expert is correct? Was Dr. Cutter supposed to stop the operation? Was it “reasonable” for him to proceed? These questions will only be answered when the case goes to trial, and they will be answered by the jury. A jury is a group of citizens from the local community who are asked to decide questions put to them by the parties in a lawsuit. They jury makes its decision based upon the evidence presented at the trial. In our example, if the jury, based on all of the evidence, believes Dr. Wellby, then Dr. Cutter committed malpractice and he is legally responsible for Mrs. Doe’s death. If the jury does not believe Dr. Wellby, then Dr. Cutter did not commit malpractice and he is not responsible for her death. As you can see, whether or not Dr. Cutter will be held accountable for Mrs. Doe’s death really comes down to a battle of opinions. Therefore, the Doe family’s chance of success is critically dependent upon the selection of her expert witness, and her lawyer’s ability to present the case to the jury clearly, concisely, and in a way that motivates the jury to hold Dr. Cutter accountable. The law guarantees every person the right to decide what happens to his/her body. With the exception of certain limited situations, this right extends to patients seeking medical care. Whether it is a surgery, a test, a medication, or a therapy, the patient must be informed about the plan, and must consent (agree to) the treatment. If the patient is not given the proper information, the patient’s consent may not be valid. If the medical care results in harm, the patient may have a legal claim for “lack of informed consent”. Before a physician provides medical treatment to a patient, the physician is required to explain the treatment to the patient and to warn of any material risks or dangers of the treatment, so that the patient can make an intelligent and informed decision about whether or not to go forward with the proposed treatment. This is known as the doctrine of informed consent. In fulfilling the duty to disclose, the physician is required to reveal to the patient the nature of the ailment, the nature of the proposed treatment, the probability of success of the proposed treatment and any alternatives, and the material risks of unfortunate outcomes associated with such treatment. The physician’s duty to disclose material risks to the patient is based upon an objective standard rather than a subjective standard. This means that the question of whether a risk is a “material risk” is based upon whether a reasonable person in the position of the patient would have considered the risk to be a material risk. Whether the patient would have consented to the procedure, if informed of the risk, is a relevant factor to be considered, but is not conclusive. The physician is not required to divulge all risks, but only those which are material to the intelligent decision of a reasonably prudent patient. The most important goal of informed consent is to ensure the patient was an informed and voluntary participant in health care decisions. It is easy for patients to feel powerless and vulnerable in the face of illness and to be blindly trust the people taking care of them. This “blind trust” does not excuse doctors from their duty to ensure patients participate in the decision-making process, not merely sign the consent forms placed in front of them. Informed consent discussions should be carried out in terms the patient can understand and the information should be adequate to allow the patient to make an intelligent choice. Reasonable physician standard: what would a typical physician say about this intervention? This standard allows the physician to determine what information is appropriate to disclose. However, this standard is often inadequate, since most research shows that the typical physician tells the patient very little. This standard is also generally considered inconsistent with the goals of informed consent, as the focus is on the physician rather than on what the patient needs to know. Subjective standard: what would this particular patient need to know and understand in order to make an informed decision? This standard is the most challenging to incorporate into practice, since it requires tailoring information to each patient. What sorts of medical care requires informed consent? All health care interventions require some kind of consent by the patient. In order to streamline this process, hospitals have patients fill out a general consent form when they are admitted or receive treatment. This allows the staff to provide routine care non-invasive care without going through the process of asking permission each time they interact with the patient. However, when an invasive test or therapy is recommended, the risks, benefits and alternatives of that test or therapy must be discussed with the patient and a separate consent must be obtained. If this is not done, and the patient suffers harm, he/she may have a claim for medical malpractice based on “lack of informed consent”. If the patient does not have decision-making capacity a proxy, or surrogate decision-maker, must be found. Examples of this would be children, patients with dementia, or patients who are not conscious. If there is an emergency, the patient lacks decision-making capacity,and waiting for an appropriate proxy could harm the patient, consent is not necessary. A competent patient can designate a trusted loved-one to make treatment decisions for him or her. This usually requires legal documentation. In these situations, informed consent must then be obtained from the surrogate, but is not necessary from the patient. Consider this—A 2016 study lead by researchers at Johns Hopkins and published in the British Medical Journal found medical errors in the U.S. may now be the third leading cause of death in our country. The reasons for this are complex, and we don’t have time to go into them in this article. here today, But, let’s talk about what you can do to avoid being a victim of medical malpractice, and what to do if you think you are. At your first meeting, an experienced medical malpractice attorney will explain the steps of a medical malpractice case. You will also learn what standards of proof and evidence are needed to win your case. The law does not hold doctors to a standard of perfection. The law recognizes that medicine is as much an art as it is a science, and a “good outcome” is never guaranteed. Therefore, doctors are held to a standard known as reasonable care: what a reasonable medical professional with similar skill and training would do under like or similar circumstances. In most cases, a jury decides. But, most times, juries are made up of people with no medical training. So how would a juror know what reasonable anesthesiologist was supposed to do in the face of hypovolemia during a cholecystectomy? Unless the juror was an anesthesiologist, she wouldn’t. So, the law in most states requires each side to hire medical experts to provide their opinions about what a reasonable medical provider was supposed to do under the circumstances of your case. It should not surprise you to find out the experts hired by your lawyer will most often disagree with the experts hired by the lawyer for the doctor or hospital you are suing. Attorneys who are experienced at handling medical malpractice cases will usually have built relationships with top medical experts who are willing to help patients prove their claims. These relationships take years to develop, but they are critically important to the potential success of your case. Many medical malpractice cases are won or lost based upon which side had the more believable and credible medical expert witnesses. Proving your doctor fell below the standard of care is only the first step in winning a medical malpractice case. The next step is proving the doctor’s mistake caused you harm. In a civil case, like a medical malpractice case, the standard of proof is called “a preponderance of the evidence.” This is supposed to be a much lower burden than the criminal standard of “proof beyond a reasonable doubt”. It is a lower standard because the dispute involves money damages and not anyone’s personal freedom. However, research has shown time and time again jurors in medical malpractice cases ignore this standard. Jurors simply do not like finding a doctor was negligent by a “mere” preponderance of the evidence. Whether it is because they believe doctors are generally good people, or the plaintiff was already sick, jurors who find for the doctor in medical malpractice cases will often tell the lawyers “we just weren’t 100% convinced”, or “we had some doubts”. This means jurors in medical malpractice cases treat them as if the doctor is being accused of a crime and require proof “beyond a reasonable doubt” in order to find in favor of the patient. It is extremely important to keep this in mind when dealing with the causation element of your claim. Because of this “heightened” standard jurors begin with, even when they think the doctor made a “mistake” they will often find against the plaintiff by concluding that the plaintiff was already sick so the doctor’s mistakes caused no harm. The attorney you choose must understand this juror bias, or your case will have little chance of success. This last element that must be proven in a medical negligence case is called “damages”. It gives the doctor or hospital one last chance to argue that even if his/her mistake caused harm, it wasn’t very much because the patient was already sick, or wouldn’t have lived very long with their disease. Experienced medical malpractice lawyers know these cases are complicated, and usually rise and fall on expert testimony. The damages component of your case is no different. In fact, to you, it’s the most important part of your case. If you hadn’t suffered pain, embarrassment, lost income, or the inability to care for yourself, you probably wouldn’t need to file a lawsuit. Therefore, it is vitally important your attorney be as prepared to prove your damages claims as he or she is to prove the other case elements. 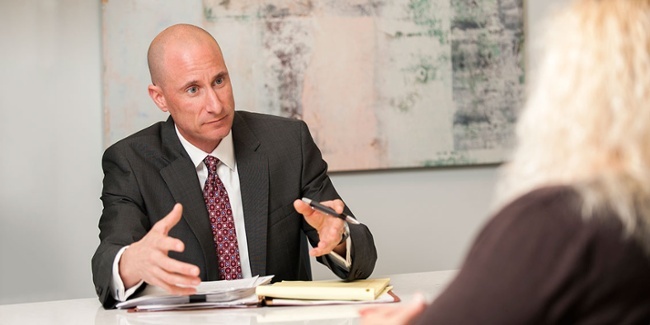 You should ensure the attorney you choose understands all of the ways your life has been impacted, and has the skill and experience to prove your damages in court. Maryland law classifies wrongful death plaintiffs as “primary” or “secondary” beneficiaries. Primary beneficiaries are the surviving spouse, parents, and children of the deceased person. Any and all primary beneficiaries can bring a wrongful death case in Maryland. It is important to understand that wrongful death claims are not the same as “survival actions.” A survival action is the claim a deceased person had a right to bring for damages that resulted from the medical malpractice and that he/she suffered prior to death. The survival action claim belongs to the Estate of the deceased person not any one of the individual beneficiaries. Therefore, the survival action claim must be brought by a legally appointed Personal Representative. Many times, the Personal Representative will also be one of the primary beneficiaries. Beneficiaries may collect lost financial support they were receiving from the deceased person.Beneficiaries may also collect monetary compensation for the loss of the deceased person’s care, companionship, and guidance. There is no way to mathematically calculate these damages. Juries are simply asked to place whatever value on the loss the jury sees fit. However, regardless of the jury award, Maryland places a limit (“cap”) on these non-economic damages. The cap is based upon the date of the injury and the number of beneficiaries. Juries are not told about the cap. If the jury awards more than the cap, the judge simply reduced the award to the cap amount after the jury is sent home. There is no “cap,” or limit, on the damages a family can recover in a Washington, D.C. wrongful death action. However, beneficiaries in a wrongful death claim may not seek damages for sorrow, mental distress, grief, or the loss of love and affection. The law requires the personal representative of the deceased person’s estate must be the person to file the wrongful death claim. The claim is filed on behalf of the surviving spouse or domestic partner of the deceased person. If there is no surviving spouse or domestic partner, the “next of kin” may file the wrongful death lawsuit in a D.C. court. Next of kin may include children, parents, or siblings. other contributions the deceased would likely have made to support, care, companionship, and other services for his or her surviving family members. If damages are awarded in the wrongful death claim and the deceased person had a will or other estate plan, they are paid to the estate, which distributes them to the spouse, domestic partner, children, parents, or other next of kin in proportion to the loss each suffered. entirely to the siblings, if there are no spouse, children, or parents. A study done by Johns Hopkins University in 2016 estimates that there are 250,000 deaths due to medical malpractice each year in the United States. In Maryland, there are an estimated 836-1,862 medical malpractice deaths each year. Damages resulted from the injury. According to the American Board of Professional Liability Attorneys (ABPLA), medical malpractice is when a doctor, healthcare professional, or a hospital causes an injury to a patient through a negligent act or omission. Examples of medical malpractice by medical team: misdiagnosis or failure to diagnose, prescribe wrong medication or wrong medication dosage, surgical errors, errors relating to childbirth, or communication error among your medical team. 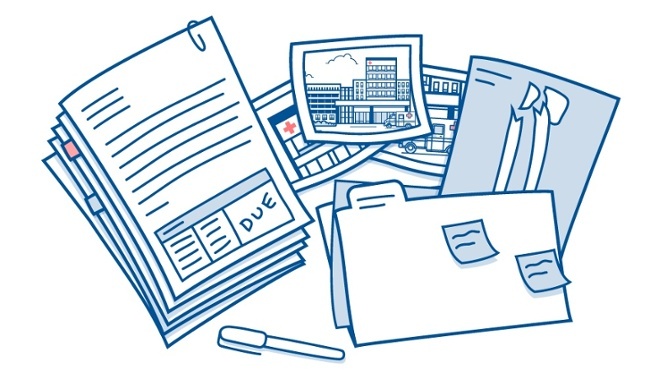 Examples of medical malpractice by hospital or medical center: failure to maintain equipment, failure to provide clean and sanitary environment, failure to adequately train doctors and hospital staff, or failure to put in place necessary procedures and systems to ensure effective communication among care team. To report medical malpractice against a hospital or healthcare center, contact the Maryland Office of Health Care Quality. To report medical malpractice against a doctor, contact the Maryland Board of Physicians. To report medical malpractice against a nurse, nursing assistant, or medication technician, contact the Maryland Board of Nursing. Nothing. Most experienced medical malpractice lawyers work on a contingency fee basis. This means there is no cost to you unless there is a recovery. If there is a recovery, then a legal fee will be charged as a percentage of the gross amount recovered. After the fee is deducted, the costs to bring the malpractice case will then be paid back to the law firm from the remainder of the recovery. In Maryland, victims of medical malpractice are entitled to recover the value of their past and future lost wages, past and future medical and care expenses, and past and future lost household services. Medical malpractice victims are also able to recover an amount of money for their conscious pain and suffering. However, there are laws in Maryland that place a limit (“cap”) on pain and suffering damages. The cap came into effect in 1985. Since then, it has been both increased and modified by the Maryland State Legislature. The cap that applies to each case is based upon the date of the injury. Victims of medical malpractice are entitled to recover the value of their past and future lost wages, past and future medical and care expenses, and past and future lost household services. Medical malpractice victims are also able to recover an amount of money for their conscious pain and suffering. The District of Columbia, unlike Maryland, does not place a limit on conscious pain and suffering damages. The main reason a case is not accepted for investigation, or is declined after investigation, has to do with the business model of contingency fees. Medical malpractice lawyers who represent patients work on a contingency fee. That means the lawyers and law firms do not charge by the hour, and do not expect the clients to pay for the costs associated with the investigation and prosecution of their case. Instead, the law firm only receives a fee on cases that resolve in the client’s favor. Furthermore, because clients with unsuccessful cases are not expected to repay the firm for case expenses, those cases not only fail to earn a fee, but also result in a financial loss to the firm. The costs associated with the investigation of a medical malpractice case are usually between $5,000 and $15,000. If the investigation results in the case being filed, the costs to prosecute the case is usually between $30,000 and $100,000. If the case can not be settled, it will proceed to trial. Trial of a medical malpractice case can cost an additional $20,000 to $50,000. These amounts do not represent legal fees. They are not the amount of money being paid to the lawyers working on your case. They are the expenses that must be incurred to properly handle your case. They include the cost of medical record copying, expert witness fees, court reporters, transcripts, court fees, exhibit preparation and travel. Contingency fee clients are not expected to pay these costs. The risk of recovery of these costs, and of obtaining a legal fee is borne solely by the law firm. This business model has the benefit of allowing clients to retain an attorney to investigate their case who could not otherwise afford to pay the costs and fees up front. However, it is evident that the model also requires lawyers who want to stay in business to select cases that have a significant probability of success. We sincerely try to help everyone who calls us. However, the reality of economics gets in the way at times. There are several reasons a lawyer may “refer” your medical malpractice case to another attorney. At D’Amore Personal Injury law, we believe that the law firm you called is the law firm you should get. However, our resources are not infinite. Cases come up where the involvement of another law firm is beneficial to our clients. In those cases, we partner with outside counsel to ensure we are helping the greatest number of people possible. Our attorneys are always here for you. Talk to an attorney.